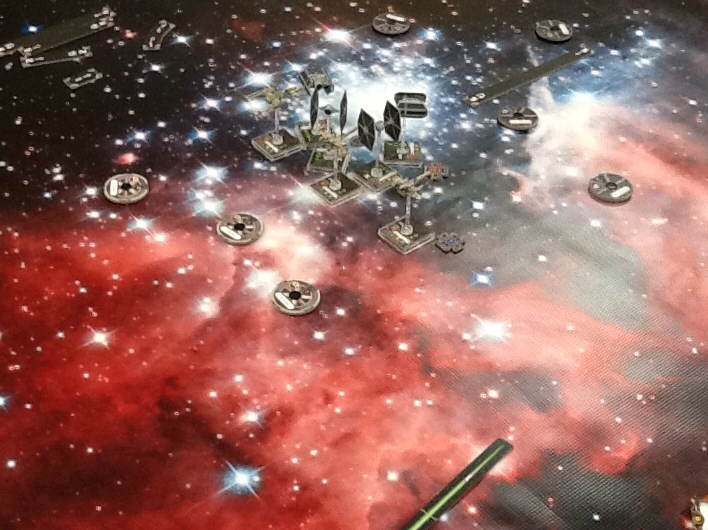 Fantasy Flight Games has released a Star Wars themed ship combat game with rules similar to Wings of War. Each ship can have various attachments and pilot abilities which give it varying point values. Each player creates a force of the specified point size. All manner of space accessories can be added to the play surface to create any scenario imagined. Initial ship choices are limited. An X-Wing and two Tie Fighters come with the base set and additional X-Wing and Tie Fighters can be purchased as well as Tie Advanced and Y-Wing ships. The Millenium Falcon, Slave 1, A-Wing and Tie Interceptor ships will be in the next wave of ships offered. We have played three games so far and certainly recognize the huge potential this game offers. Each game was quite fun as well. I think we'll get lots of mileage out of this one.